We stay active in our community as well as the surrounding counties. 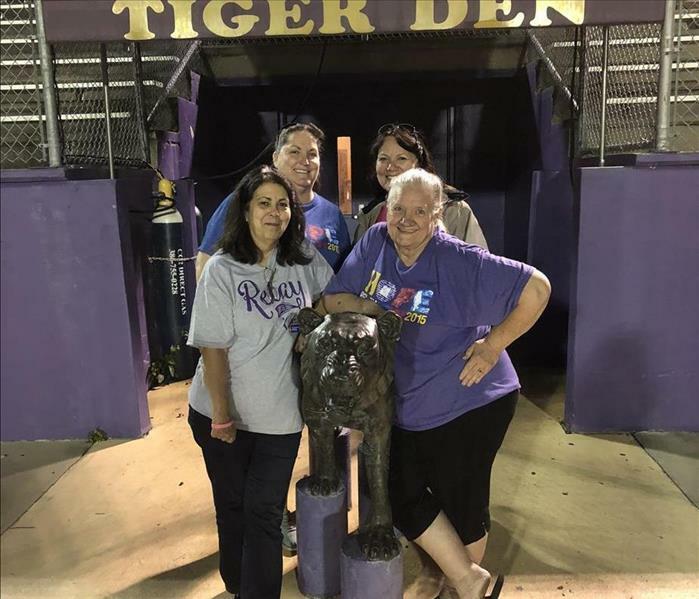 From Relay for Life to Altrusa, the Elks Lodge and the Craft Beer & Wine Festival we continue to sponsor, attend and stay involved. We care about our neighbors and want them to not only know us as SERVPRO but to know us personally. We have been here since 2006 and always make an effort to join, commit our time and money to any events ranging from sponsoring a baseball team to a Charity Ball! We hope to see you at the grocery store or church.... not just when you might need our services. If you call us your getting your neighbor and someone that commits to making a difference in our community. Our home in 2012 when Tropical Storm Debby came through our area. While we have been working with customers for over 20 years we never expected to be directly impacted. "We left for work that morning and returned at lunch, this is what we came home too". Water had rushed throughout our home and damaged everything we own. 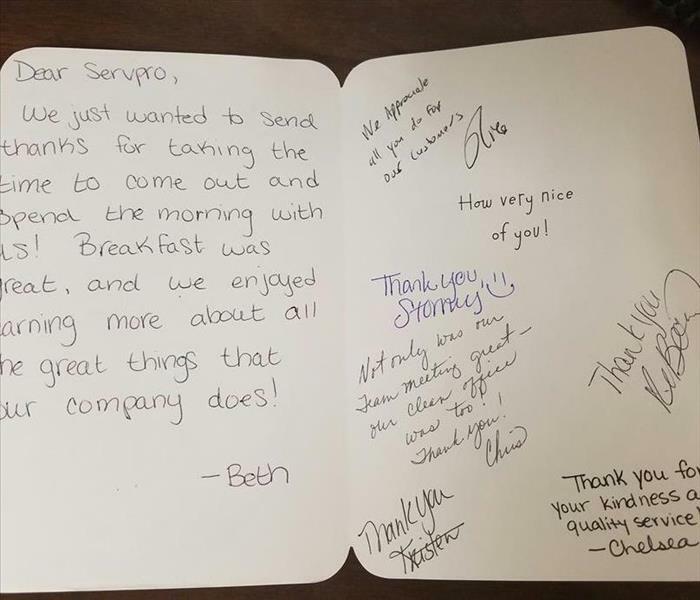 The reason we say "Why SERVPRO" is that not only do we feel like we treat every customer as if they were our only one..... we have been through what you are going through so we understand. 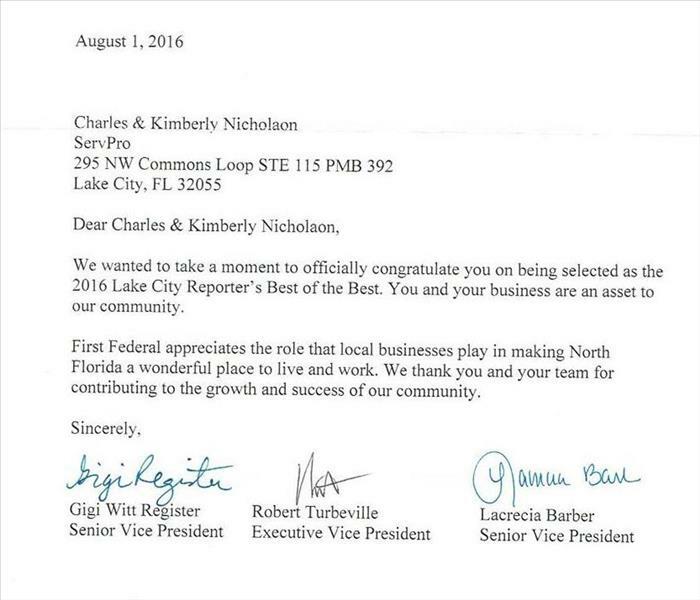 Lake City has made us feel very blessed to be a part of it and that is why we say SERVPRO is the best! You will find we want to make you feel like your home or business is the most important thing to us. 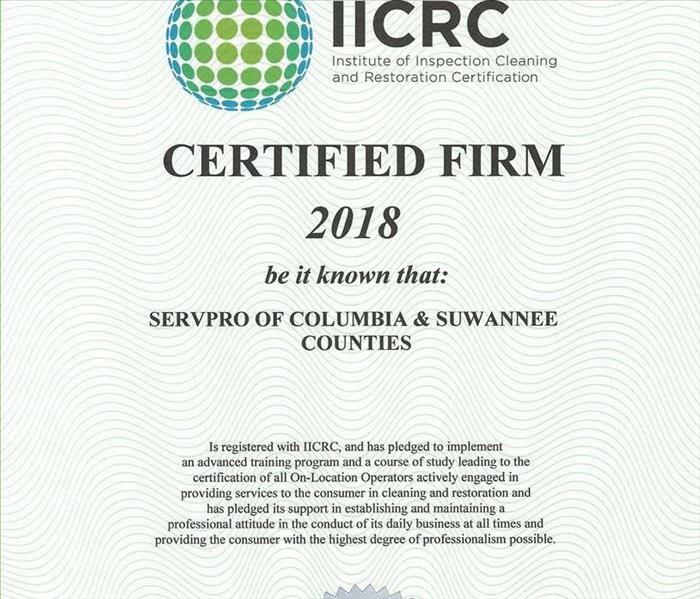 We remain certified as water remediation experts as well as expect our technicians to. We keep up to date on all new equipment that can assist us in our day to day operations and prepare us to do the best job possible in our area of expertise. Know that when we come into your home at any time we are sending knowledgeable technicians to take care of your home or business the best way possible. 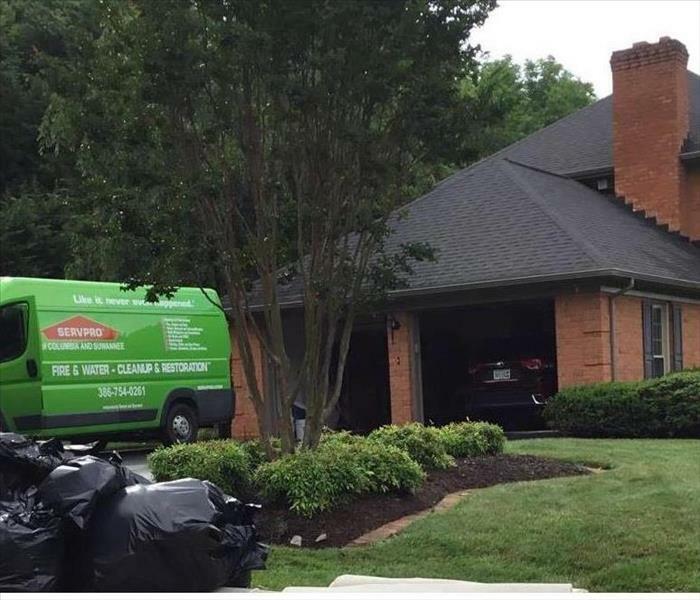 That is why SERVPRO should always be your first choice to call! We handle damages in Lake City, Live Oak, Jasper, Fort White, Lake Butler, Mayo, Perry, Macclenney, Starke, Chiefland and many other cities surrounding us. We are here to help in any of your emergency or cleaning needs. We pride ourselves in having innovative equipment that benefits our customers. Whether it is the insurance customer or the homeowner or a business owner we work hard to maintain our knowledge on all the services we offer. In this photo we are doing what we call "weighted extraction" at a church that had a large water damage in their sanctuary. The reason behind this type of extraction is to create the least amount of disruption in your life. Depending on the source of water, what the subfloor is and how long it’s been wet we can save the carpet and not have to remove it therefore causing less commotion in your home or office. We also do an antimicrobial treatment and dry the area to a qualified moisture content and clean the carpet to ensure it is safe for the church members. Mold and Mildew are two different things. 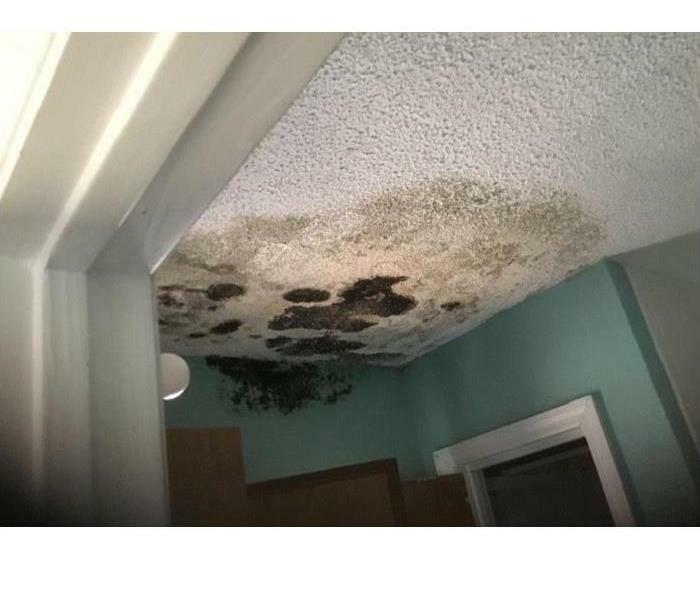 Notably in Florida we have a high amount of humidity so for obvious reasons we might have more of a need for mold remediation than some other states. On staff we have a mold remediation certified employee as well as many technicians trained in mold remediation properly. 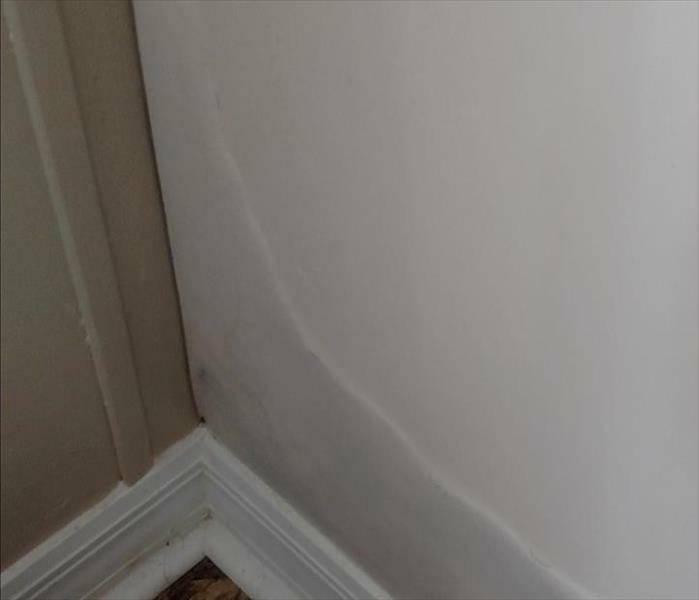 Keep in mind that "cleaning" mold off with bleach is not necessarily remediation. It is a cleaner. 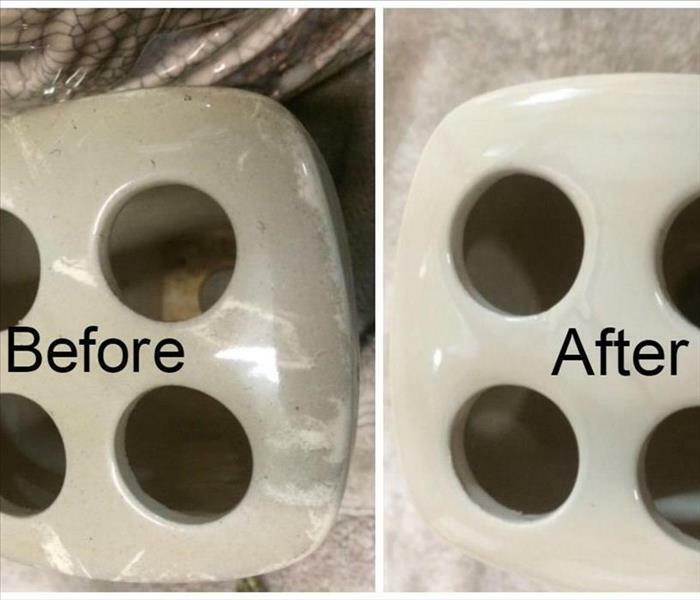 Depending on the porosity of the item the mold is on it makes a difference on what is used to remediate the item. 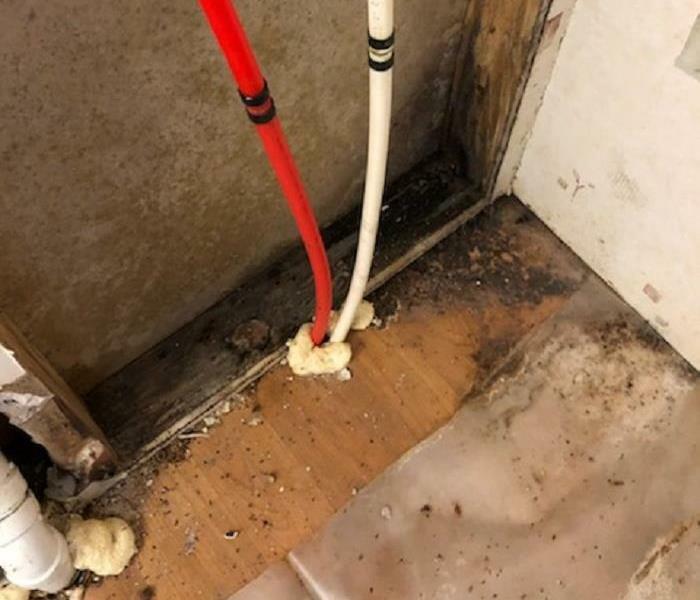 Fortunately for this homeowner, they noticed a problem in their bathroom and called SERVPRO of Columbia and Suwannee Counties to come out and inspect their home. Thanks to our knowledgeable staff, we were able to give this family peace of mind. Mold is something you never want to encounter as the remedy usually means ripping apart your home. Unfortunately for this family that is exactly what needed to happen. 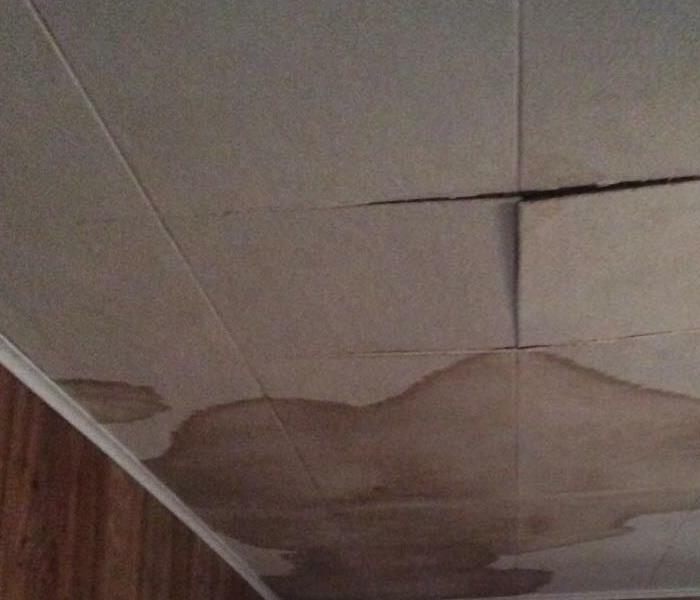 Upon inspection of a water leak, the experienced staff at SERVPRO of Columbia and Suwannee Counties noticed the mold damage and quickly came up with a plan. The damage was minor to SERVPRO (compared to some mold jobs) but major to this family. Our compassionate staff put their minds as ease and began the repairs. The homeowner was very impressed with our skills and knowledge and appreciated our demeanor. I don't know about you but I don't know what I would do without my washing machine. However, I do know what I would do if my washer ever turned on me and decided it wanted to wash more than just my clothes. That's what happen to this local family when their washer just kept washing, and washing, and washing. Needless to say, they had a devastating mess. We were able to restore their home to its natural state in no time at all thanks to the knowledgeable, dedicated, and hard working staff at SERVPRO of Columbia and Suwannee Counties. 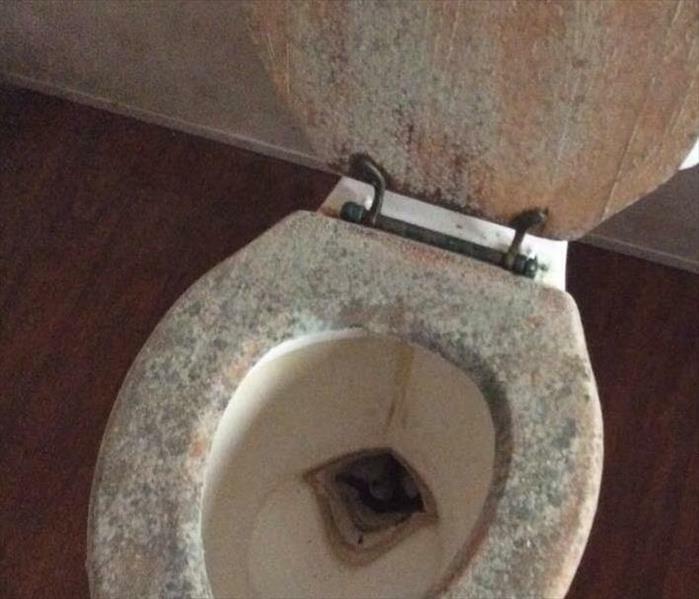 Toilets are a wonderful invention but they're not wonderful when they overflow. Unfortunately things like this happen. However, it's very fortunate that our team has the knowledge and skill to handle any messy situation in which you may find yourself . 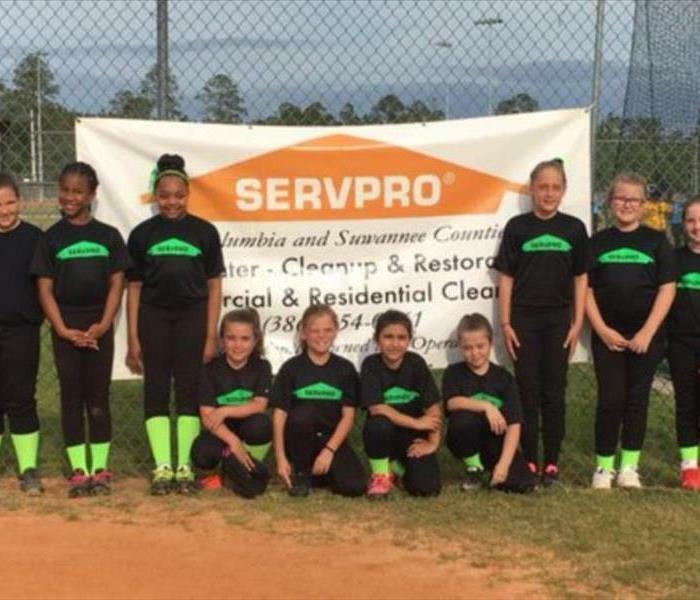 SERVPRO of Columbia and Suwannee Counties were able to make this unfortunate event, "Like it never even happened." You have a water damage you say? Never fear because SERVPRO of Columbia and Suwannee Counties is here! We were able to extract the unwanted water from a pipe burst that had taken over the sanctuary and multiple rooms, including this storage room. The members of this church were very appreciative and thanked our dedicated team profusely for acting with such diligence. This was an unexpected surprise when the Principal arrived at school one cold morning in December. 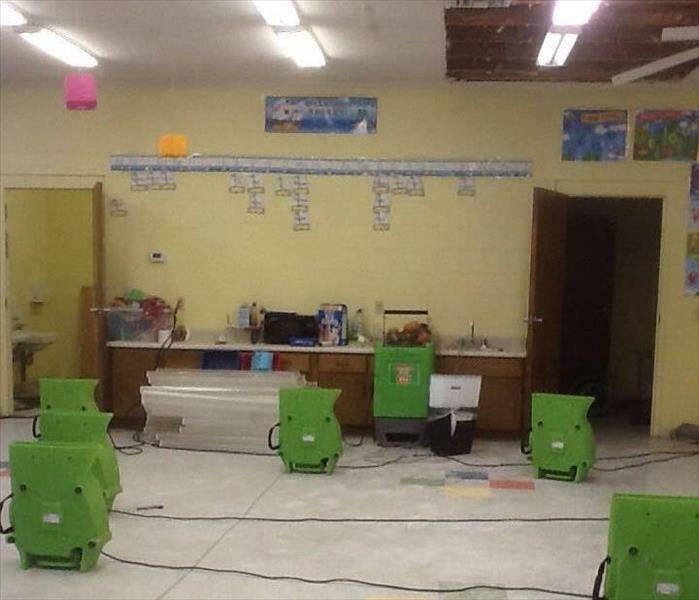 There was significant damage to multiple classrooms and hallways. SERVPRO of Columbia and Suwannee Counties were called and immediately responded. Our hard working, well experienced team was able to have this school back to normal before the holiday break was over and the students/staff returned. Being called to do storm work is a privilege we look forward to doing. We are able to help our fellow franchises assist customers they otherwise are forced put on a waiting list. It enables our staff to travel and see different states. It truly is a wonderful feeling to be helping in so many ways to make peoples lives better. 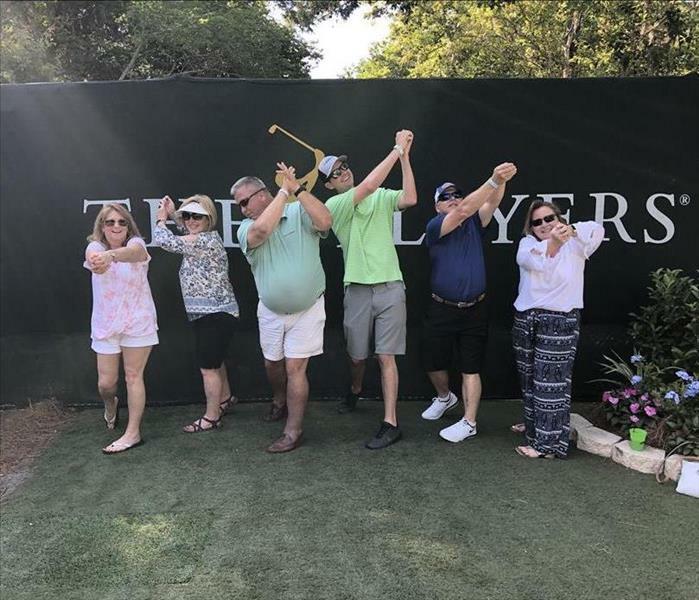 What an awesome time we had attending the TPC this year in Ponte Vedra Beach! Friends, business partners, co-workers and other SERVPRO owners makes for a great day! We look forward to next year! 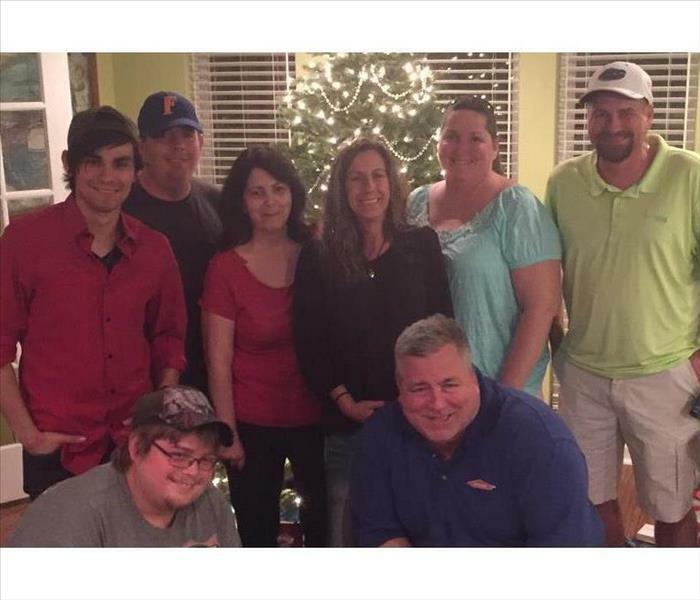 Merry Christmas & A Happy New Year to everyone from SERVPRO of Columbia & Suwannee Counties! Meet our Staff - from left to right - Johnathon, Keith, Sharon, Barbara, Kim & Ronnie. Kneeling is Paul & Chuck. We have had a wonderful 2017 and look forward to 2018! We have FOUR MORE WHEELS! Here at SERVPRO of Columbia and Suwannee Counties, we are glad to announce the arrival of our new 2017 Kia Soul! This vehicle will be used mostly for marketing purposes to provide more services for those living in rural areas. Mold hides in mysterious places. This homeowner say water coming from under her dishwasher. This was the first of it that she had seen and thought it was just a small leak. Upon pulling out her dishwasher, she discovered mold had already started growing. 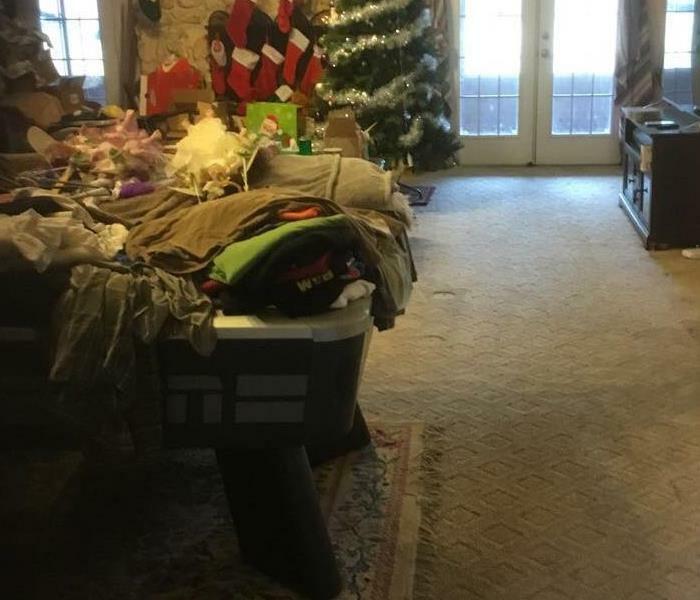 Thankfully, she called SERVPRO of Columbia and Suwannee Counties out to her Fort White home and we were able to get it dried out and completely remediated. This particular is vacation home. When the homeowner arrived back to the home, Mold had taken over. This is not uncommon for us to see. 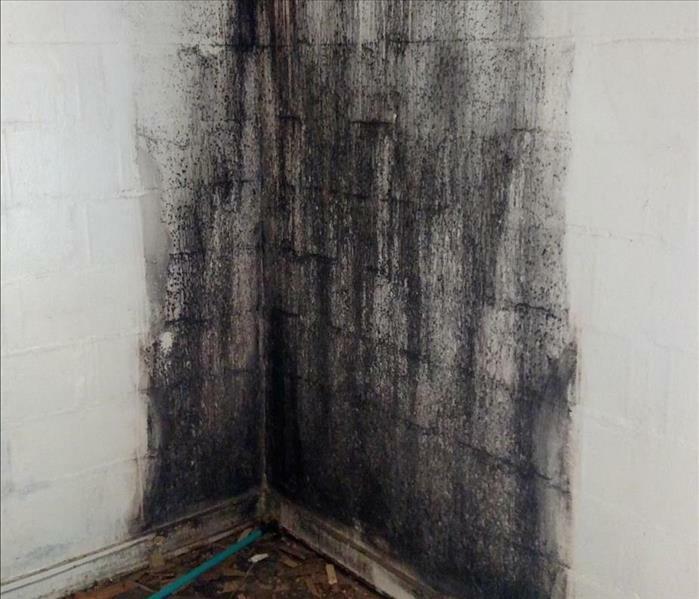 When a home just sits for a few months even weeks, mold can spread like wild fire under the right conditions. 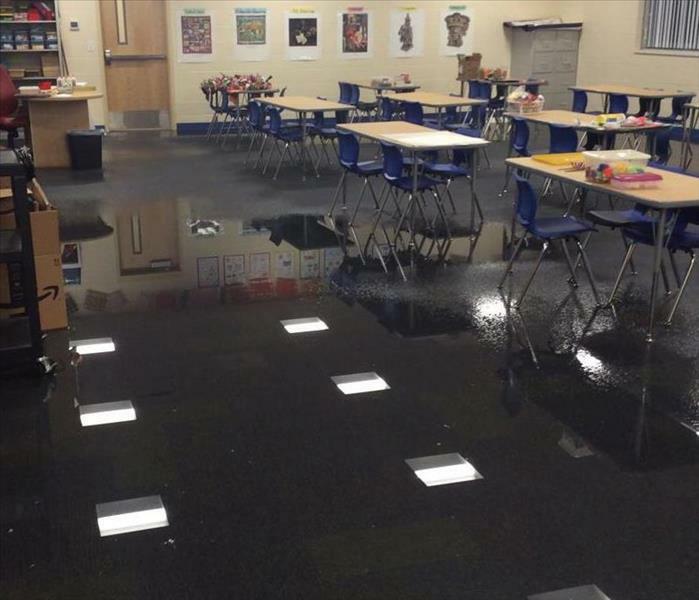 Water damage throughout a fitness center. 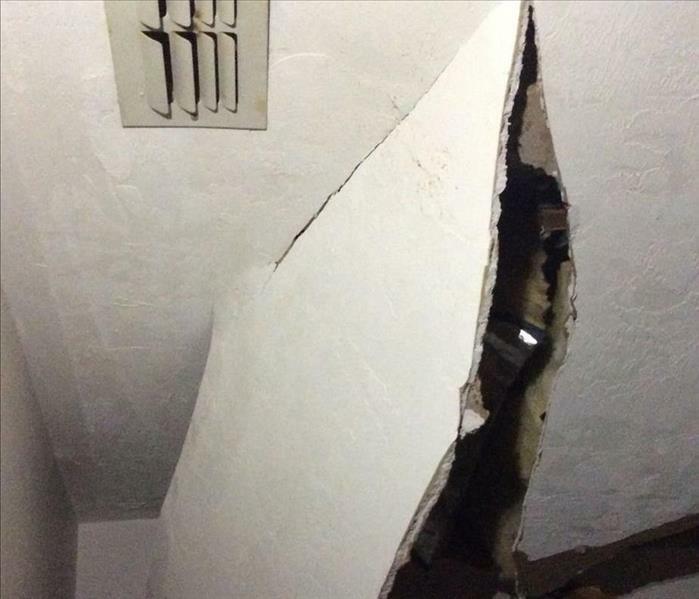 A Live Oak fitness center had a water damage. 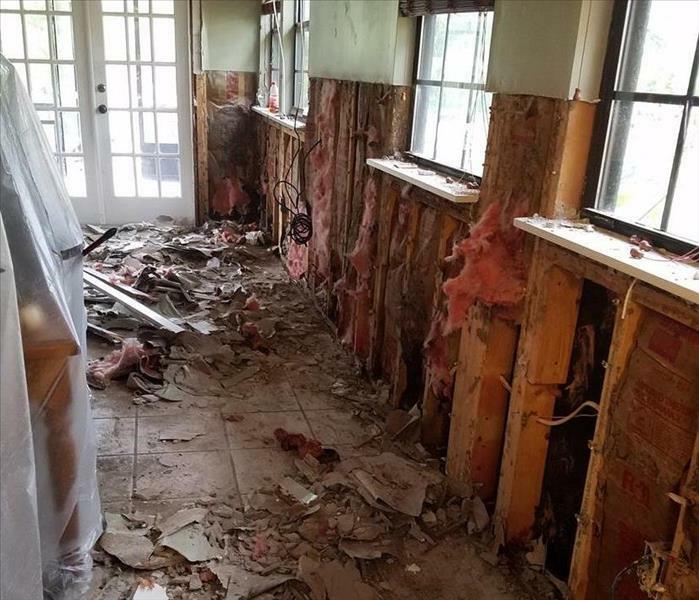 They called SERVPRO of Columbia and Suwannee Counties and we were able to quickly dispatch our production crews to not only get the water stopped but to get the wet material removed and dried quickly. With our fast response times, businesses can usually stay open or have extreme minimal closure time. This not only helps lower the restoration costs for the business owners but it also helps them not loose revenue. Recently a massive thunderstorm rolled through our area and a tree fell. Sounds about normal right? Not for this homeowner, the tree landed on his home! When the tree fell on this mobile home, it landed in such a way that it altered the structure. Therefore, pushing the wall out of place. A fire ripped through Jasper home. This fire literally took the roof with it. Thankfully not a ton of contents were damaged in this fire. 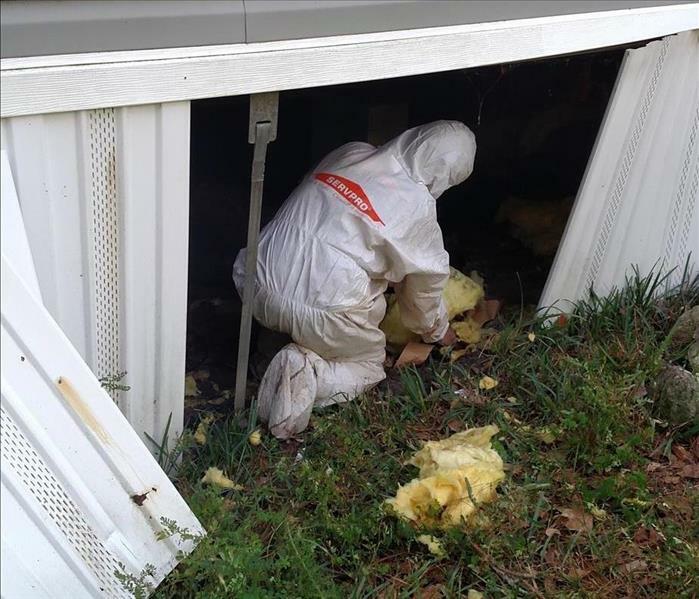 SERVPRO of Columbia and Suwannee Counties moved fast to get the roof covered, and start the remediation process on this Hamilton County home. Water trapped in the walls. Pictured here is Water that is actually in the wall but being held in by the paint. That's some pretty impressive coverage! However, this is not something you would want to brag about. When a water damage occurs, unless you have the right equipment or knowledge, there is no way to see where the water actually is with the naked eye. In this case it was actually inside the walls and the homeowner didn't even know until the wall and paint started bubbling. A homeowner in Mayo got the pleasant surprise of a tree falling on his home. The tree caused enough damage for water to sink into the insulation and caused the ceiling to start drooping. Our technicians were able to remove the wet materials, dry it out, and have a roofer come in to fix the roof. 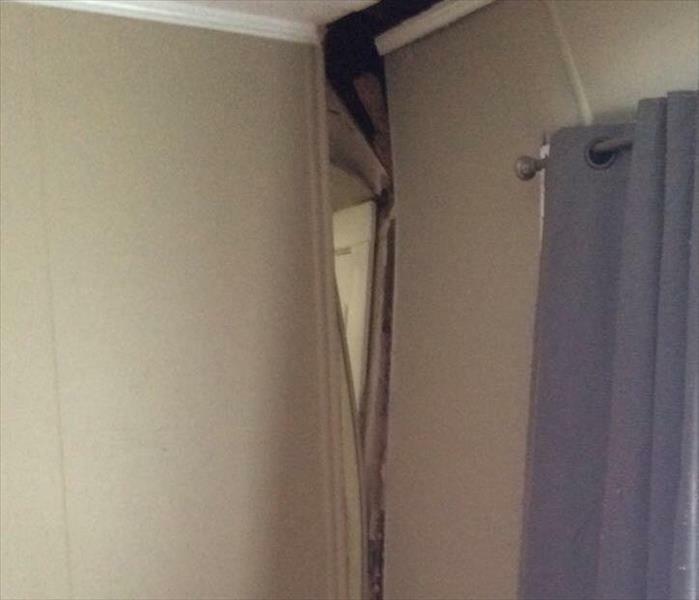 Thankfully nothing else inside the home was damaged due to the homeowner and SERVPRO's quick response. 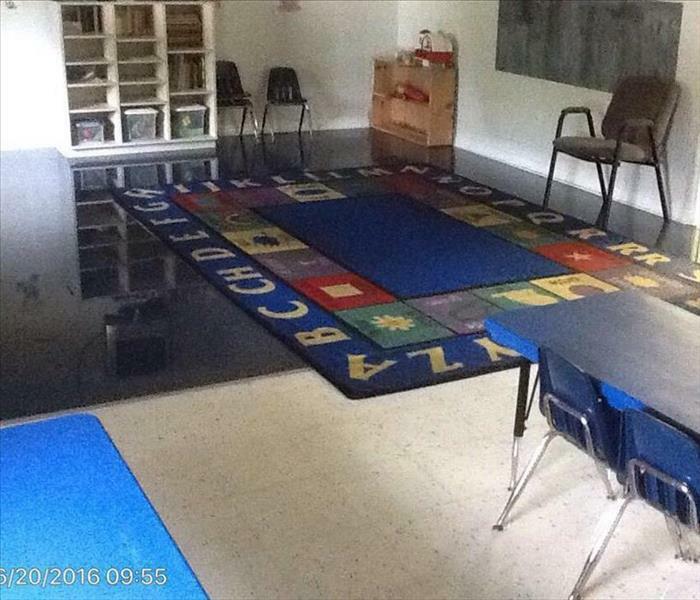 When this teacher walked in on Monday morning, she was greeted with a huge puddle of water. 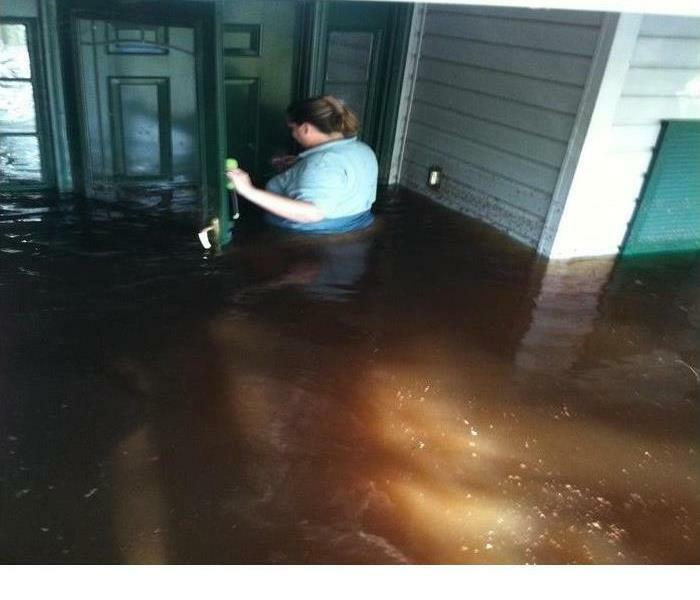 Thankfully SERVPRO of Columbia and Suwannee Counties was called out and was able to get it dried up. We extracted the water, sanitized the affected area, set drying equipment where necessary, and finished by cleaning the rugs. 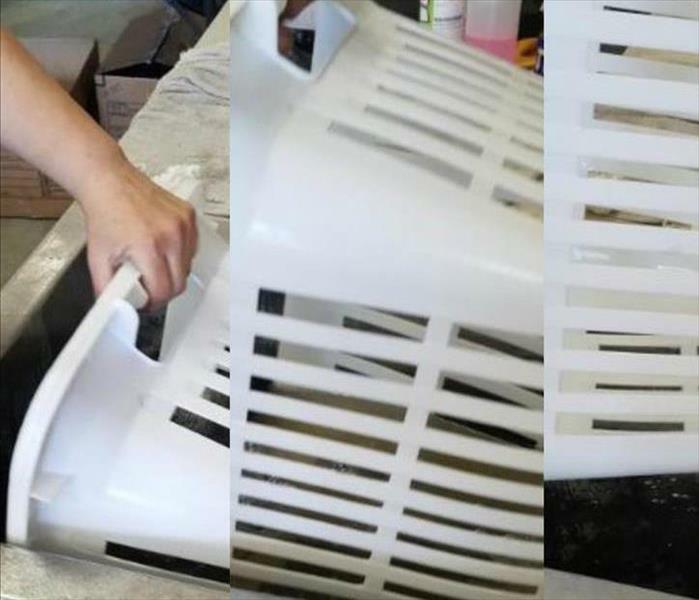 Would you ever know this laundry basket was dark grey from being covered in soot? Our restoration technician Sharon placed it in our Ultrasonic Machine. This machine uses cavitation bubbles induced by high frequency pressure (sound) waves to agitate a liquid. The agitation produces high forces on contaminants adhering to substrates like metals, plastics, glass, rubber, and ceramics. In this case very little discoloration was left on the basket, and the homeowner was left with less to repurchase for their Chiefland home. If it means something to you, It means something to us! We were called out to access a fire damage in a Glen St. Mary home. Due to the homeowners not having enough coverage to write off a lot of stuff, we were able to save even the smallest things for them. To some a toothbrush holder may be just another $5 purchase, but when you have an entire home of $5 purchases to make it can add up quick. We've been there ourselves, if it is something you want to save then we will. Vase restored from soot and smoke damage. This beautiful vase was inside of a home as flames roared through it. Fortunately we were able to pack up the house immediately and move the contents to our warehouse for cleaning. As you can see this vase is back to it's original state. Our motto isn't "Like it never even happened" for no reason. If you have contents from a burned home or business we'd love to restore them for you. 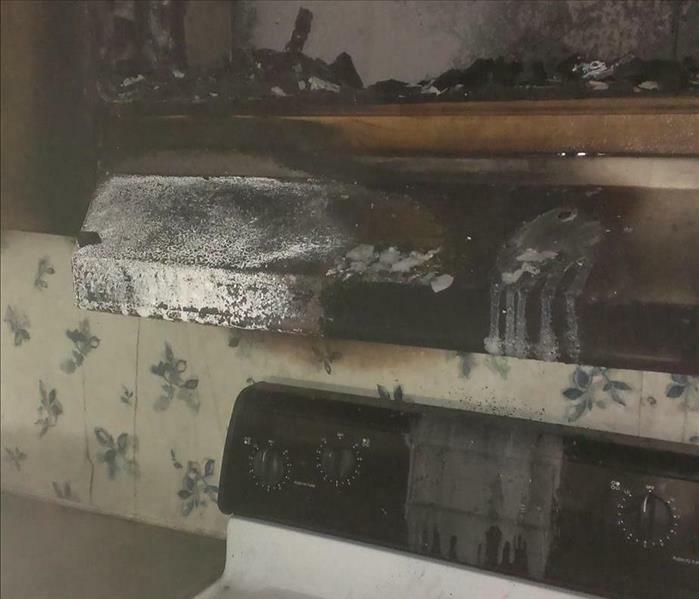 A Starke home went up in flames due to a cooking accident. 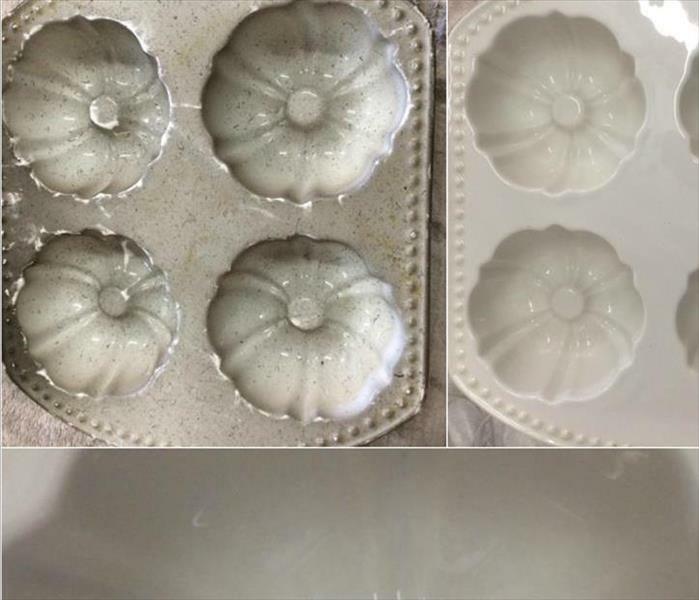 This bake ware was located inside of a hutch in the dining room. As you can see it was full of soot. Our Highly skilled restoration technician Sharon was able to not only remove the soot, but fully restore it to the original safe for baking state. Trenton Home invaded by a TREE! 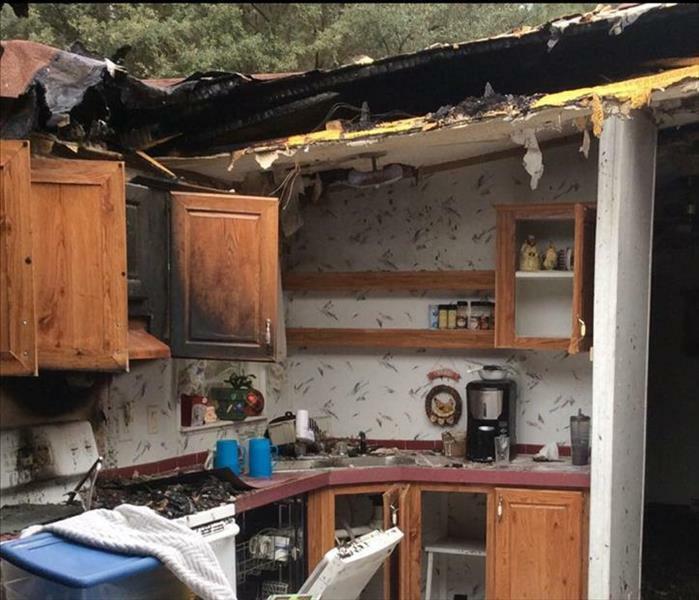 This Gilchrist county homeowner came home to find none other than a tree in his kitchen. A strong thunder storm that passed through area made the tree give way and land on his roof. We were called out and were able to remove the tree, dry out the attic and ceiling, and get this home back to normal. Most people want a tree house, usually not homeowners though! There's nothing we haven't seen and nothing we can't handle big or small. This is the inside a burned Cross City residence our crews were called out to remediate. SERVPRO of Columbia and Suwannee Counties were able to arrive quickly and get this home restored to it's original state. A homeowner from Mayo, Florida called in SERVPRO of Columbia and Suwannee Counties to help eliminate and remediate a mold problem overtaking their home. Here you can see what the inside of a closet looked like upon the arrival of our technicians. We were able to completely remediate the residence and pass an air quality test to return this home back to a safe living environment. Pictured is one of our production technicians crawling under a residence to remove the underbelly affected by a Water Damage. 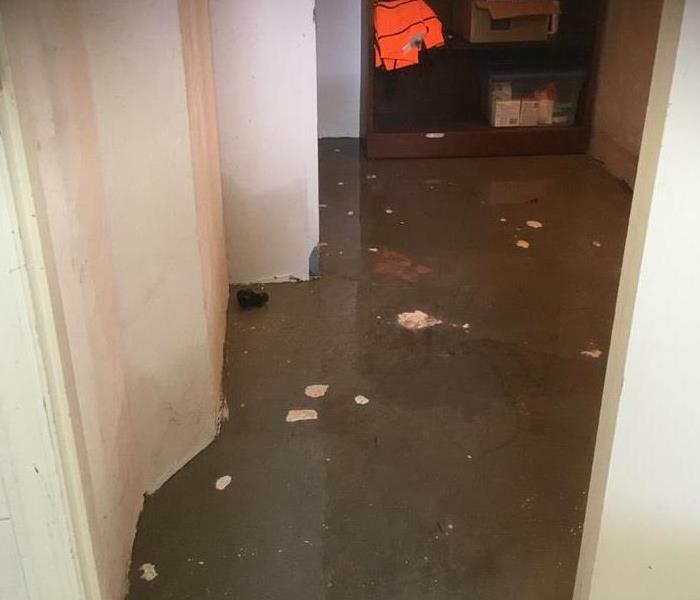 The homeowner decided to call SERVPRO of Columbia and Suwannee Counties when they discovered the water puddled on their floor. Upon further investigation the water had gone through the floor and subfloor and into the insualtion. 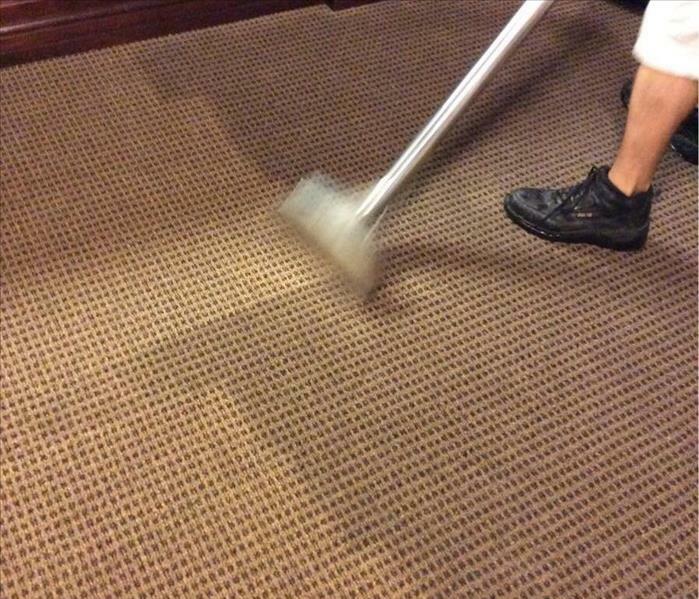 Our crew was able to act fast to get it dried up and restored back to normal. Mold Remediation in a Hamilton County residence. 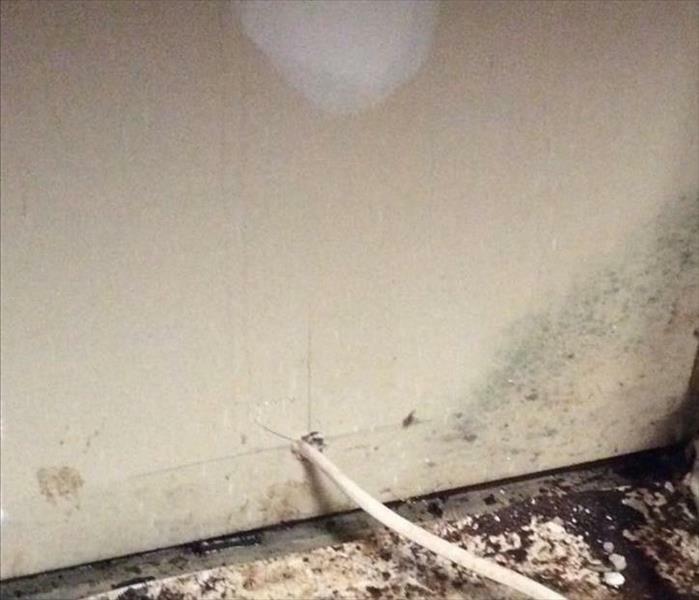 This homeowner discovered that mold had started to take over his home. He called SERVPRO of Columbia and Suwannee Counties out to his residence to get the problem taken care of. We were able to remove the mold, clean and seal the walls, and let this homeowner continue on with his home renovations. The business owner came into work on a Monday to discover that a pipe had burst over the weekend. He quickly called out SERVPRO of Columbia and Suwannee Counties and we were able to extract the water and get his business dried out and the doors back open! Our goal is to keep you from experiencing your business closing and ultimately loosing out on your revenue while dealing with a "disaster". During Hurricane Hermine's stroll across Northern Florida it took with the roof of a school. Thankfully it was more like just peeled it back a little. None the less the entire ceiling of one side along with the insulation needed to come out. 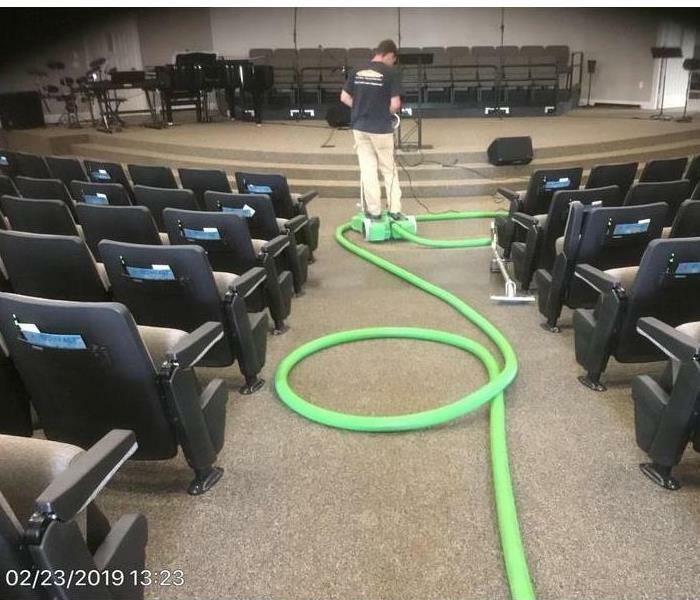 SERVPRO of Columbia and Suwannee Counties were called out immediately and were able to get it removed and get the school dried out and back in session! 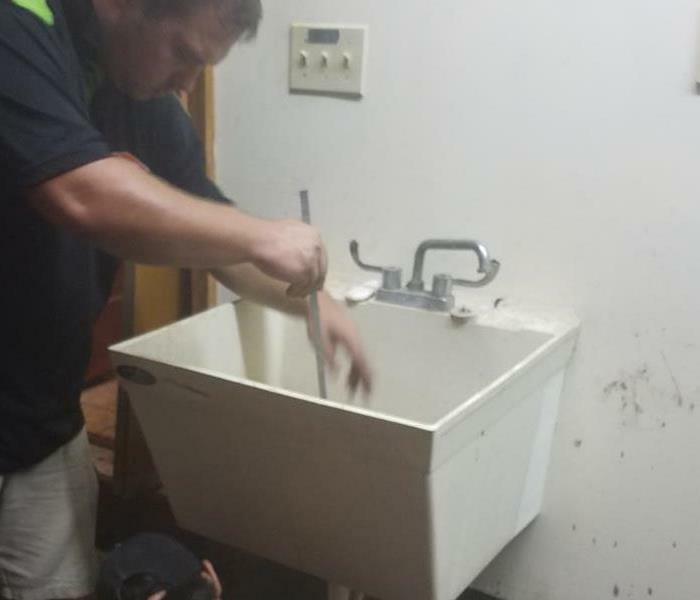 Here you see our Production Technician Jack removing an industrial sink from the garage of a residence that was flooded when Hurricane Matthew barreled through St. Augustine. 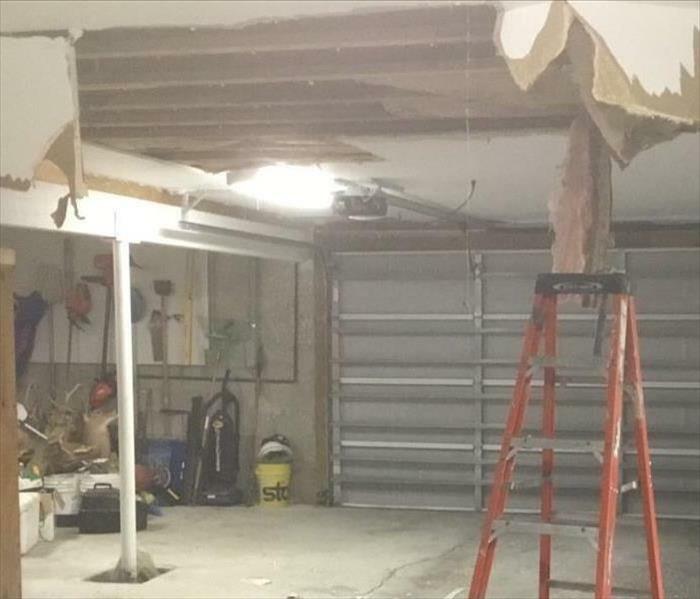 This entire garage flooded as well as the main floor of the home. Thankfully we were able to respond to not only remove and dry out this home, But to also treat it to prevent mold from growing. This is a residence that was affected by Hurricane Matthew. Due to being flooded the drywall, insulation, and most all of the furnishings had to be removed. 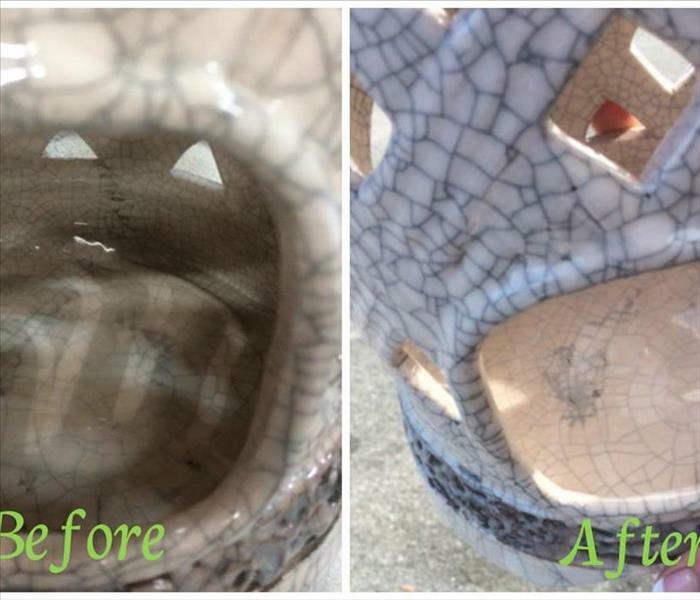 We were able to completely remove everything that was damaged or wet. When then dried out the structure and passed the job along to local St. Augustine Contractors of the homeowner’s choice. Due to the tremendous loss Hurricane Matthew caused, SERVPRO of Columbia and Suwannee Counties was called to help out in St. Augustine. 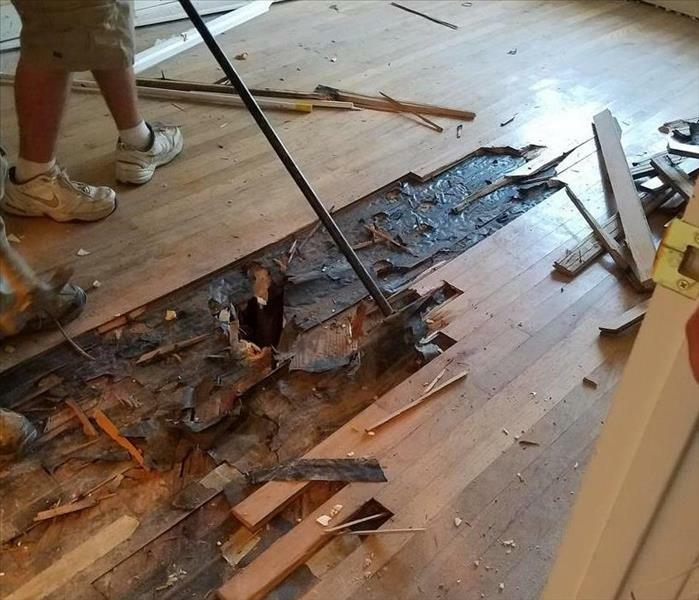 Here is a picture of our production technician Keith tearing out the wooden floor and plywood sub flooring due to the Black Water that flooded the residence. 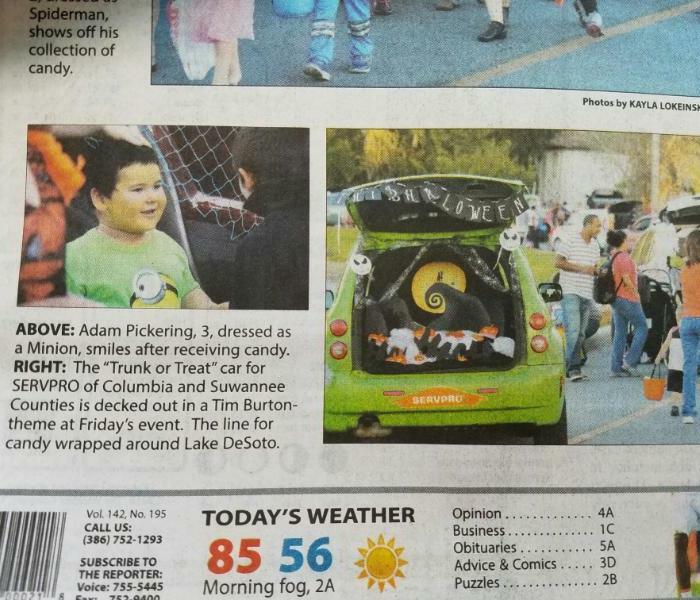 SERVPRO of Columbia and Suwannee Counties participates in Trunk or Treat/National Night Out every year. This year was no different. Our Marketing Department was out supporting this event, while our production technicians were hard at work on a water damage. Way to go team SERVPRO! 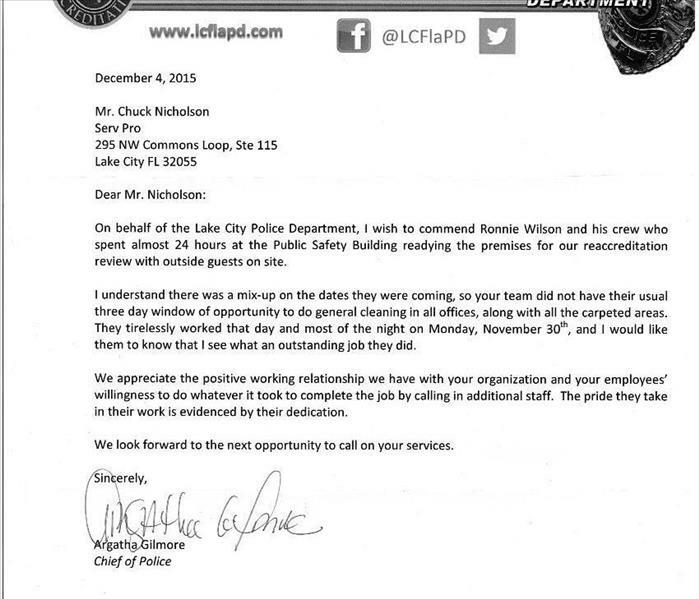 Lake City Police Department Appreciation Letter from Chief of Police Argatha Gilmore. We went in to help them out prior to an inspection being done and were able to work through the late evening and get it completed on time! Recently Owner Chuck and Marketing Rep Brandi had a Breakfast & Learn with a local Insurance Agency. During this breakfast and learn we spoke more in depth about how SERVPRO of Columbia and Suwannee Counties works quickly to make sure our customers are taken care of and not taken advantage of. We pride ourselves on our quality work and quick response times. How adorable are these softball cuties? We were more than happy to sponsor these young athletes of Columbia County! One of them is the daughter of one of our past employees so it was wonderful to see our sponsorship of these young ladies benefit one of our very own! 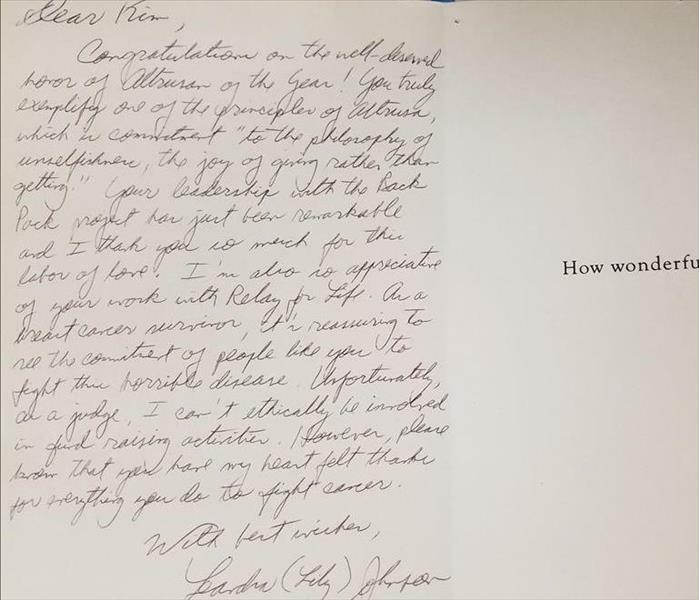 Card received for Altrusan of the year. SERVPRO of Columbia & Suwannee Counties owner Kimberly Nicholson awarded Altrusan of the Year. Altrusa International Inc. is an international community service organization dedicated to making our communities better through leadership and service. The membership is a diverse group of men and women in both background and experience. Through Altrusa membership, you have the opportunity to develop leadership skills, serve your community, develop both personal and business networks and make a difference while having fun. Card received after Microwave Donation. Salem Primitive Baptist Church in Lake City, Fl was broken into and one of the things taken was their microwave. SERVPRO of Columbia and Suwannee Counties stepped in and donated a brand new microwave to the Church. 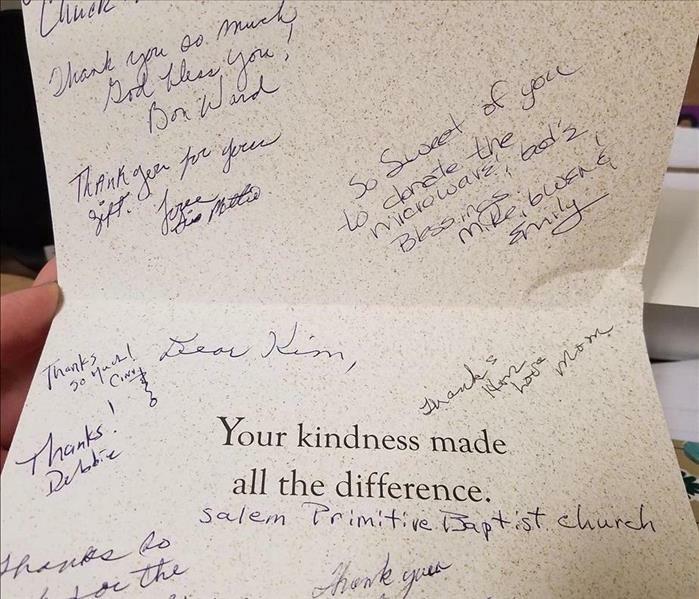 A little gesture goes a long way and we were glad to be able to help out! SERVPRO of Columbia and Suwannee Counties was voted Best of the Best yet again. We would like to not only thank our community, but also our amazing customers. We hands down have the best customers in North Florida. Thank You for trusting us to help you out in one of the most stressful and trying times in your life. We pride ourselves on efficiently and effectively making it "Like it never even happened". 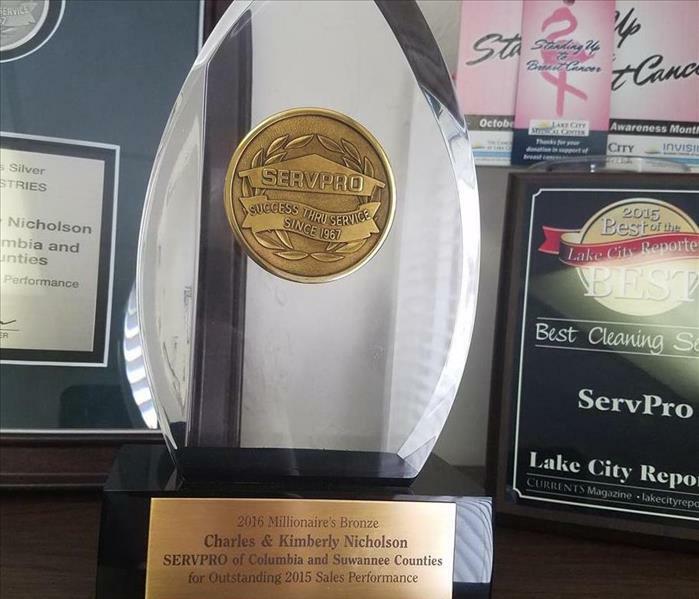 SERVPRO of Columbia and Suwannee Counties received this award for Outstanding 2015 Sales Performance. We are blessed to have the best customers and are sincerely thankful for every time we get to make it "Like it never even happened".